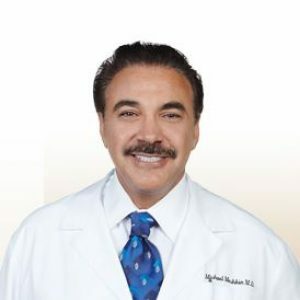 Dr. Michael A. Meshkin specializes in hair restoration surgery with more than 25 years of experience. He is honored to be among the first 30 physicians worldwide to be certified and one of the first doctors in the world to meet all of the high standards, requirements, and qualifications to become a Diplomat of American Board of Hair Restoration Surgery (ABHRS). He is the president and founder of Cosmetic Hair Restoration Surgery Institute, which is one of the finest hair restora­tion surgery and hair loss treatment centers in the country. Dr. Meshkin is also one of the active members of the International Society of Hair Restoration Surgery (ISHRS), the largest hair restoration surgery organization in the world. He has been recommended by the Hair Transplant Network as one of the best hair restoration surgeons in the world. Dr. Meshkin’s passion and dedication to the art of hair restoration surgery began in 1979 while attending UCLA. He was doing volunteer work at a local plastic surgery clinic, which occasionally performed hair transplant procedures. It fascinated him that with a minor surgical proce­dure, people suffering from hair loss could regain their hair – thereby changing their entire self-image and outlook on life.